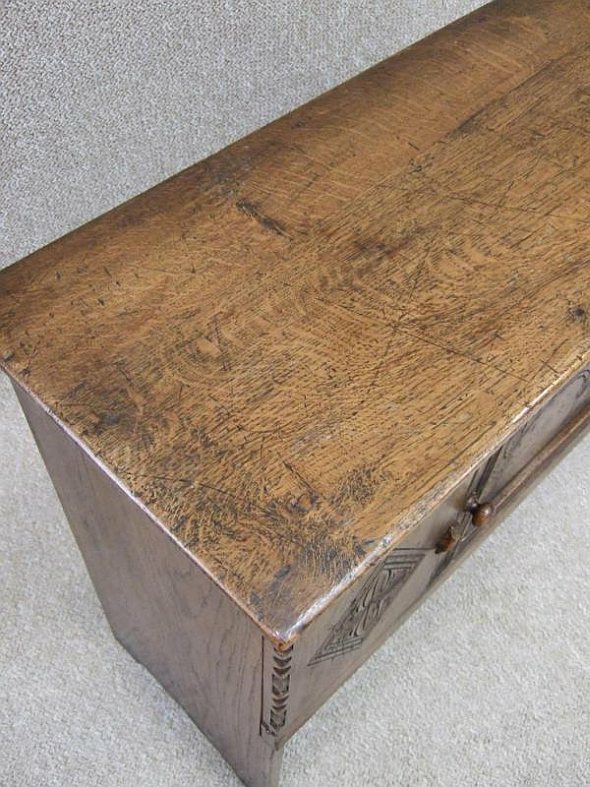 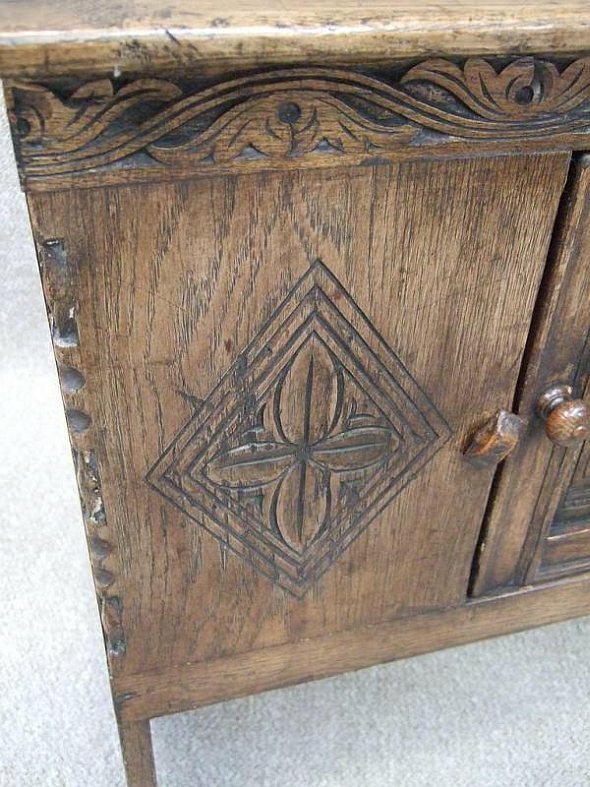 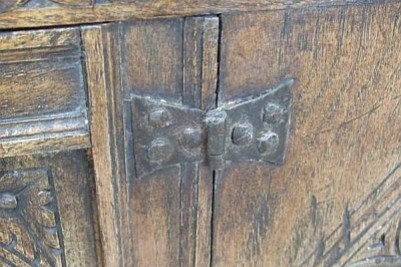 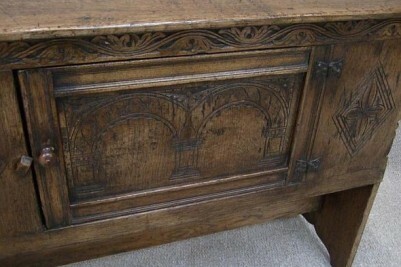 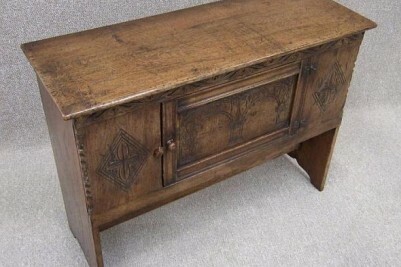 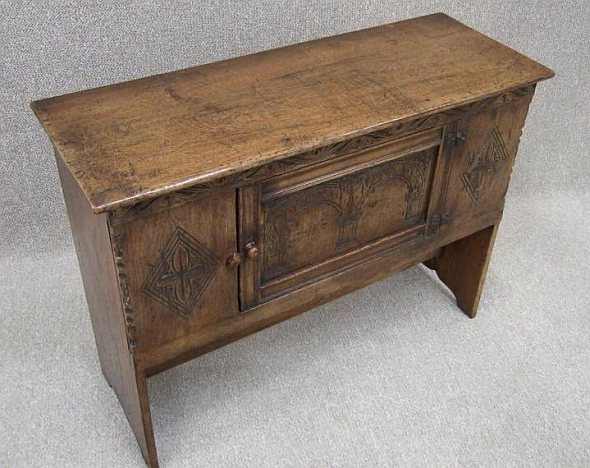 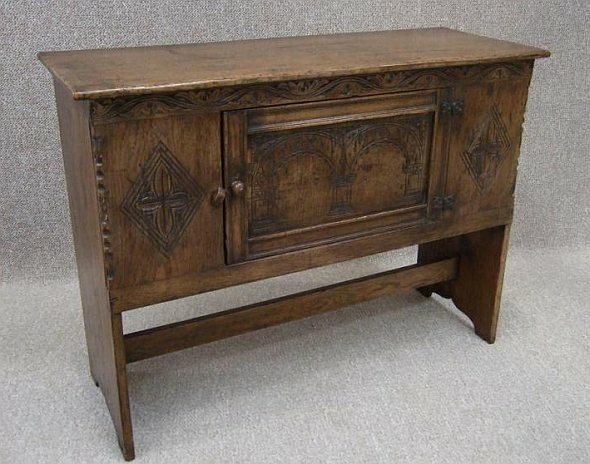 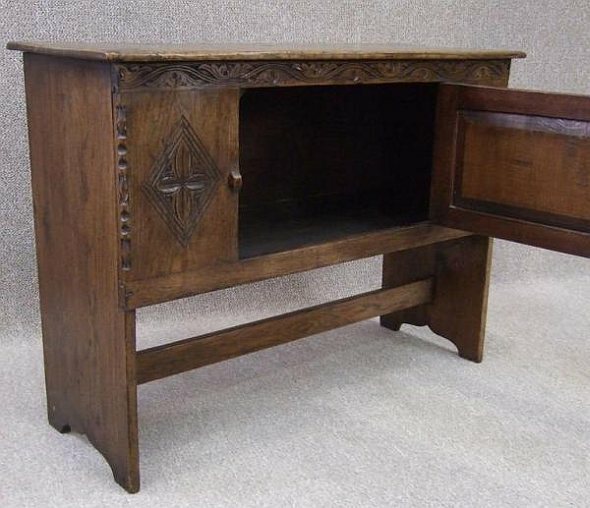 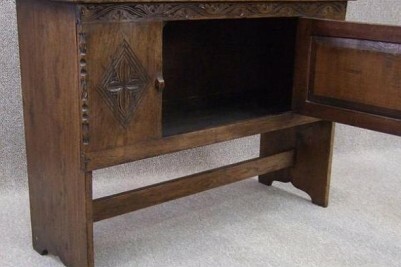 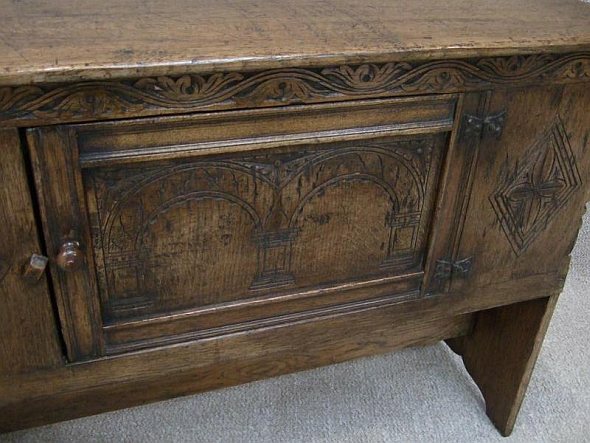 A superb quality, early English reproduction, solid Oak cabinet. 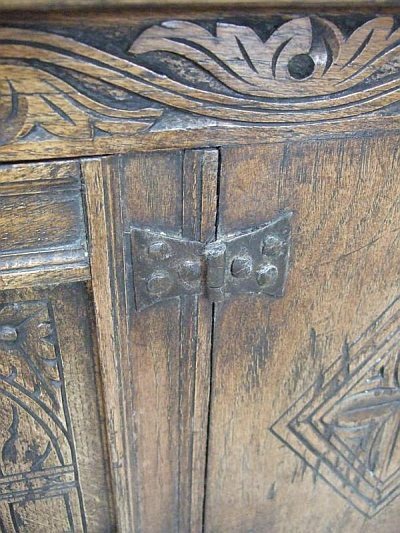 With its decorative carving to front, traditional butterfly iron hinges; this item has an attractive period style appearance. 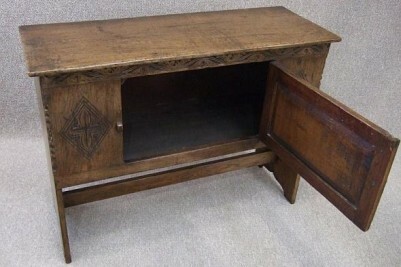 An extremely useful piece of furniture for any period property. 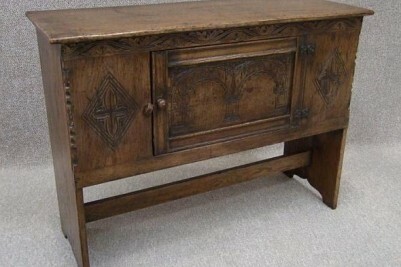 The item is in lovely condition for its age; we believe this to be circa 1950s. 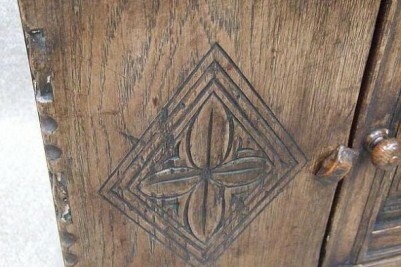 It has had a small amount of woodworm to the rear board, but this is well and truly dead. 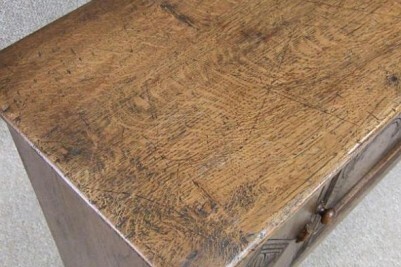 It has also been treated by us.